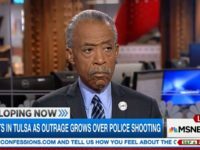 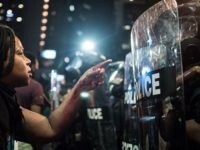 The aftermath of the police-involved shooting of a black suspect shot by a black police officer in Charlotte, North Carolina continues to reverberate and now the NAACP has jumped into the fray to insist that African Americans who become police officers are no longer black. 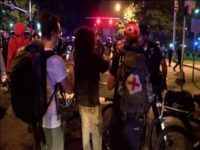 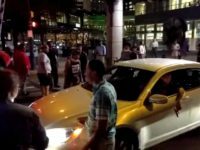 Police arrested 11 people Sunday night into Monday morning in what was the sixth night of protests in Charlotte over the shooting death of Keith Lamont Scott by police. 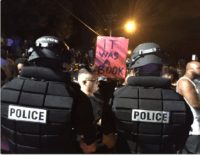 Following Charlotte Police Chief Kerr Putney’s announcement Saturday that they would release a video from a body camera and a dashcam video, the police department did just that. 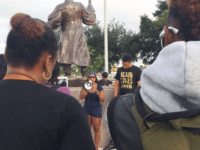 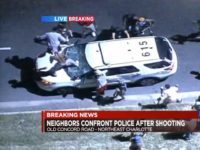 CHARLOTTE, N.C. (AP) — For a fourth night, there are protests in Charlotte over the fatal shooting of a black man by a police officer. 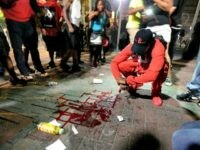 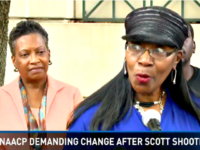 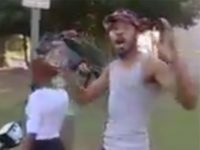 CHARLOTTE, N.C., Sept. 23 (UPI) — The family of Keith Lamont Scott, the black man shot by Charlotte police this week, released a dramatic video of the incident on Friday that depicts his wife pleading with officers — “Don’t shoot him” — and shouting at her husband before the shooting starts. 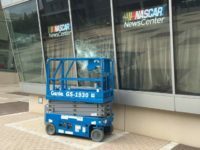 The NASCAR Hall of Fame was one of several buildings in Charlotte, North Carolina, destroyed by riots Wednesday night in protest of the police shooting of 43-year-old Keith Lamont Scott. 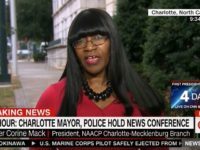 Charlotte’s Democratic mayor Jennifer Roberts decided against accepting an offer made by North Carolina’s GOP governor Pat McCrory for additional state law enforcement resources long before the situation spiraled out control on Wednesday night, Breitbart News has learned. 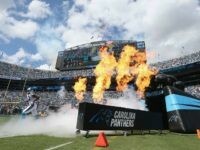 The National Football League (NFL) and Carolina Panthers officials met Thursday to discuss whether to move Sunday’s game against the Minnesota Vikings due to the protests in Charlotte, North Carolina. 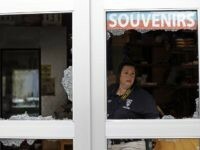 Police officers in Charlotte, North Carolina stood guard Thursday morning and helped local business owners clean up from damage they sustained during violent riots on Wednesday night.